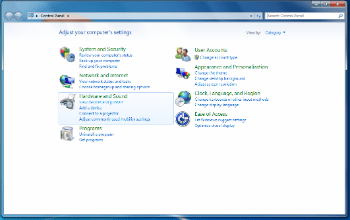 From the Start Menu, select Control Panel, followed by View devices and printers. 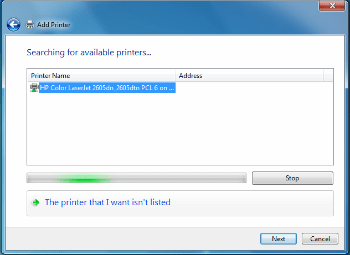 Click on Add a printer, which is located at the top of the window, and then from the option displayed, choose Add a network, wireless or Bluetooth printer. 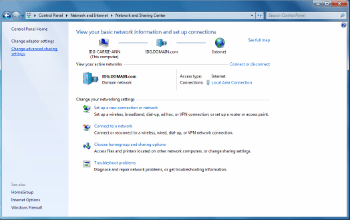 Windows will now scan your network and identify the printers that have been made available to share (more on this below). Select the printer you want to access from the list and press Next. 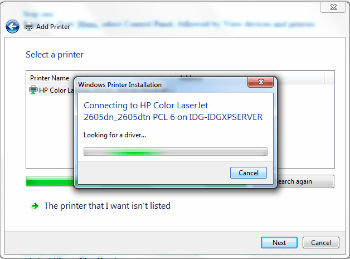 Windows will now connect to the printer and look for the driver. Once it has located the driver, you’ll be asked to confirm you trust the printer, and then the driver will be installed on your machine. A pop-up will confirm your PC is now connected to the printer. Press Next. You’ll be given the option to print a test page. Alternatively, press Finish to begin using the printer. If you’ve got a local printer connected to your machine, you can also opt to share it with other PCs on the network. First, you’ll need to check printer sharing is switched on. Open the Start menu and head to the Control Panel again. Click on Network and internet and, from the options displayed, choose Network and Sharing Centre. From the options on the left-hand side, select Change advanced sharing settings. Make sure Turn on file and printer sharing is selected, then press Save changes, Close window. Now, once again open the Start Menu and select the Control Panel. From the list choose View devices and printers, and then right-click on the icon of the printer you want to share. Select Printer properties and then click the Sharing tab. From here tick the box next to Share this printer. Click OK and now the printer can be used by other machines on the network. Hope this post has helped you learn How to Connect Printer to Your LAN Please Comment to us about what you would like to hear from us about. Please don’t forget to Like and Share this article.